It’s that time of year again: The roads are icy, the sun is setting before five, and you can’t step outside without bundling up in some seriously heavy outerwear. And as much as we dread having to break out our down parkas and heavy wool coats, let’s face it—the process is inevitable. However, there is one thing you can avoid, and that’s falling into a style rut on those dreary days. When you’re faced with a pile of clothes and nothing to wear on a bleak and frigid morning (don’t worry, it happens to the best of us) the easiest way to dress up—or brighten up—your wardrobe is with some colorful outerwear. Can’t seem to muster anything more inspired than boyfriend jeans and a cable-knit sweater? 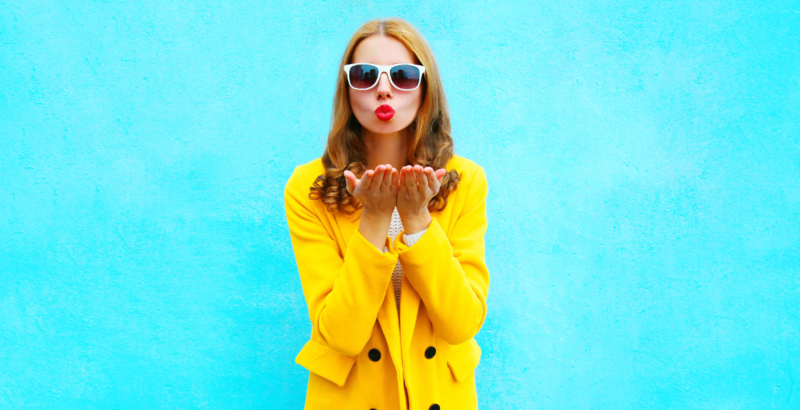 Throw a bright yellow or periwinkle blue coat over top and you’re good to go. Not only might you boost your own mood, you might find you make others’ days a little less dull, too. So, to help you step up your style game this season, we’ve rounded up a selection of colorful outerwear that’ll help you beat the winter blues. From emerald greens to pastel pinks, here are 22 rainbow-hued coats that’ll convince you to give your black parka a break. This article was written by Caroline Vazzana from StyleCaster and was legally licensed through the NewsCred publisher network. It is not endorsed or sponsored by John Frieda. Please direct all licensing questions to legal@newscred.com.